Explore La Quinta de San Pedro Alejandrino on this small-group guided visit. 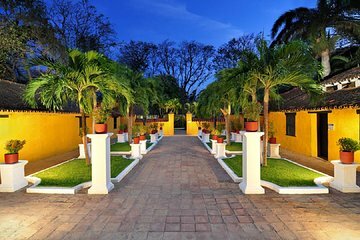 Built in the 17th century, the museum-hacienda is known as the location of political leader Simón Bolívar’s death and has become a top tourist attraction in Santa Marta as well as a historical landmark. There, admire the colonial buildings and wander around the galleries.